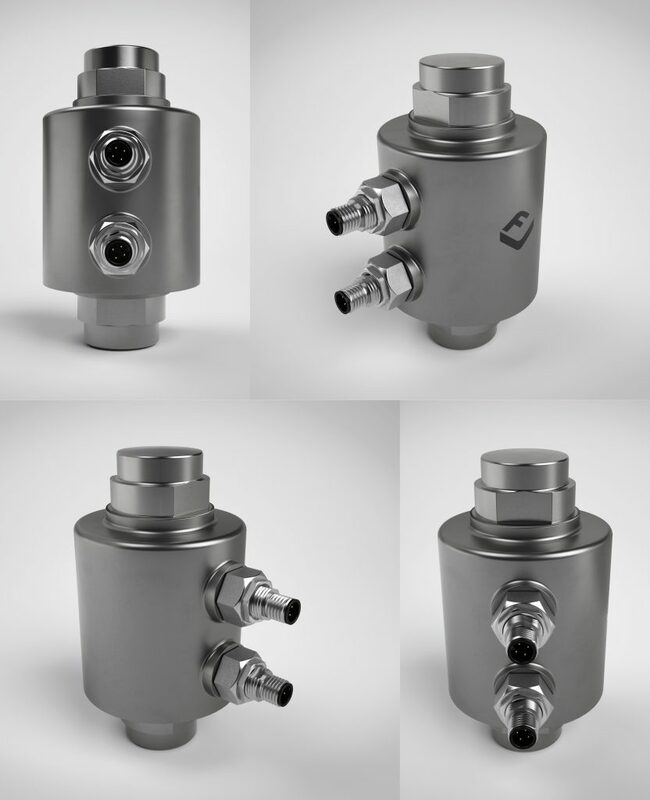 The RC3 and RC3D are compact, robust, compression load cells manufactured from high-grade stainless steel and hermetically sealed for reliable performance in the harshest environments. With capacities ranging from 7.5 – 300T the RC3 is traditionally used in high capacity scales for the static weighing of trucks or railroad vehicles, as well as silo weighing systems. The RC3D supplements the RC3, by providing a more cost-effective solution to customer applications within the 30 – 50T capacity range. New electronics allow the RC3D to be fitted as part of a single link (daisy chain) system, eliminating the need for expensive junction boxes. With RS485, M12, connectors, this new generation load cell is quick and easy to set up and benefits from extensive diagnostic capabilities to identify faults. With improved corner adjustment and system calibration, the RC3D allows for a single load cell to be replaced without compromising the entire weighing system. Other features include an IP69K hermetic seal rating and integrated surge protection in accordance with EN61000-4-5. Complementing the new RC3D, and the already established RC3 is a wide range of mounting hardware and electronics, allowing customers to create a complete weighing system for any application.